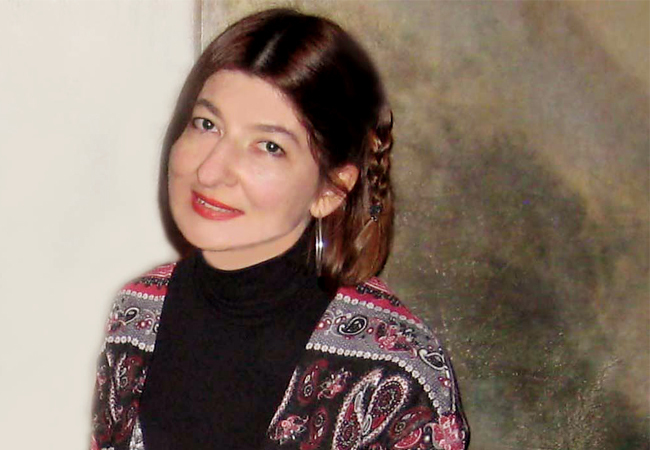 Lana Derkač (Požega, 1969) is an award-winning Croatian author of poetry, prose, drama and essay. She graduated from the Faculty of Humanities and Social Sciences in Zagreb. Her work was published in large number of Croatian and international newspapers, magazines and anthologies and translated into 18 languages. She is a member of the Croatian PEN Centre and the Croatian Writers Society. She nurtures a peculiar style of writing, combining the modernist with the postmodernist poetic discourse, incorporating intimacy with global apocalyptic phenomena endangering intimacy with astonishment at clips of reality. She won the Prize of Korea Literature given by the World Academy of Arts and Culture from Seoul, and her poetry book The Chest for Shadows won the Zdravko Pucak Poetry Prize and the Duhovno Hrašće Prize (Croatia). Her book Adopting the Sky won the Risto Ratkovic Award (Montenegro) for the best poetry book in the region – Montenegro, Serbia, Croatia and Bosnia and Herzegovina. The poet is not an obscure and indecipherable creator, she strives to achieve meaningful and impressive units, stricken by the reality of things. As if she takes the power of yet untouched surroundings and transforms it into new discoveries and objects. The object is stolen from its place and brought back altered. The effect is stupendous. It seems that this poet manages to tame the irrational lines of force, and to approach the well-known symbols from the side, without any arrogance or banality. Most simply put, we are dealing with an extraordinary literary work and (at least from my point of view as a reader) one of the best Croatian poetry books in the last couple of years!